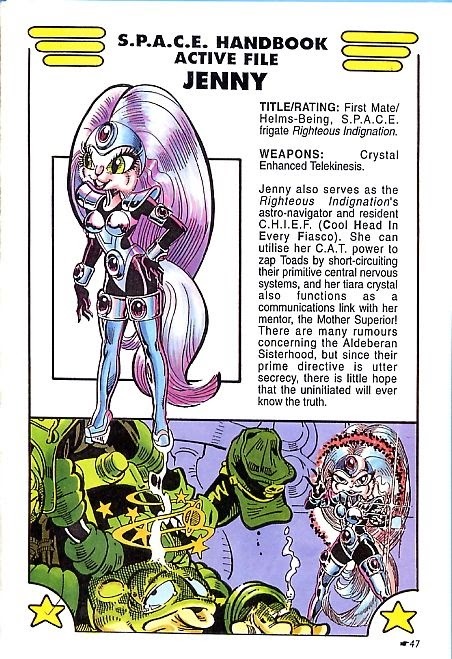 She's Fantastic: Bucky O-Hare - JENNY! In the late 1980s I fell victim to a typo in one of my comic book price guides. I was an avid fan of Arthur Adams and used to hunt down all his work. One of the more obscure publications I tracked down (I was in elementary school mind you) was Echo of Futurepast #1. I was excited to get this issue, but was ultimately disappointed to find Art Adams had nothing at all to do with the comic (The names Arthur Suydam and Neal Adams had been combined in my price guide). But it wasn't all a loss, because the first story in this anthology was Bucky O'Hare by Larry Hama and Michael Golden. 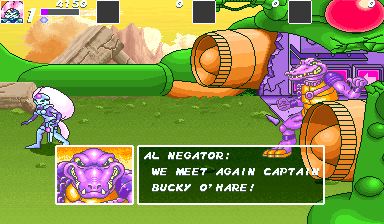 I quickly grew to love this green rabbit and his anthropomorphic crew. The art reminded me of Mike Mignola's Rocket Raccoon (which was my favorite comic) blended with Commander Toad (which was my favorite series of kids books I had outgrown years earlier). 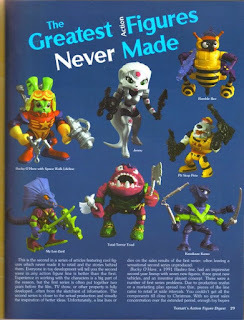 And I must not have been the only one, because 7 years after that premiere short story, there were solo comics, two video games, an animated series, and a toy line. 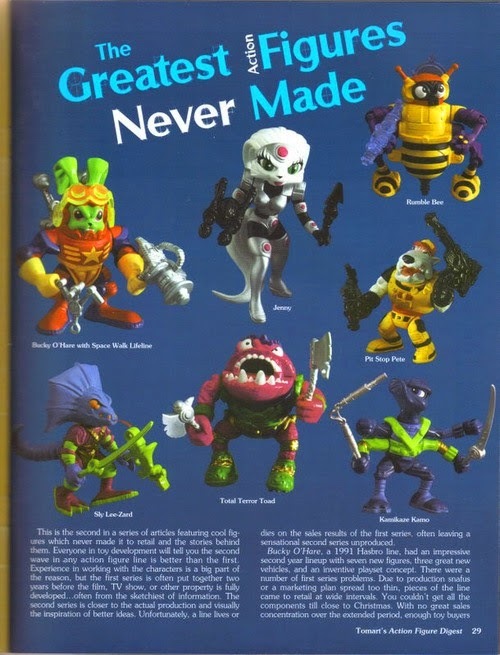 The 1991 Bucky O-Hare action figure series by Hasbro featured ten action figures in the first wave, with a second series of seven prototypes on the horizon. The second series was never released, but the lone female character, First Mate Jenny, had full test samples produced - complete with packaging. This tease made her a highly sought-after holy grail in the collector community. 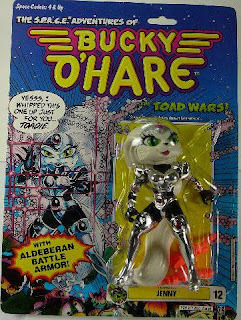 When Boss Fight Studios announced that they would be making Bucky O-Hare action figures, I was pleasantly surprised to learn that the second figure produced would be Jenny. I waited until I could buy her in person at the most recent NJCC and I'm happy to report that she does not disappoint. The quality is top notch all-around. Let's check her out below! The sculpt on this figure is gorgeous. Everything is just right. I love how her hair touches the ground and balances her nicely on her spindly legs. Jenny comes with four interchangeable faces, four sets of hands (including ones with psionic blasts attached) and two energy blast accessories. Jenny's articulation is very good, but not quite to the level that BFS has shown with Vitruvian Hacks. For instance, she has a full hip turn-out instead of a thigh cut, her wrists are only swivels, and there aren't any bicep cuts. Don't get me wrong, this still blows most action figures out of the water, I just wanted to state that she is not using the full Hacks system like we might expect from BFS. Here are some images of Jenny from her various media incarnations. This first one is her comic look. 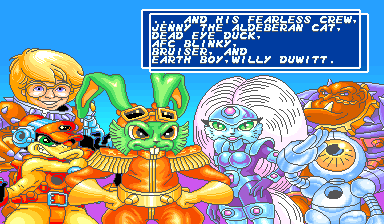 Jenny was featured in two Konami video games in the early 1990s. 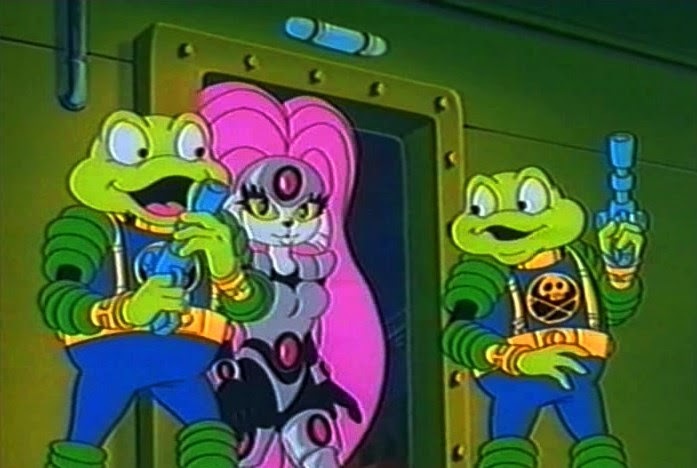 And at the same time there was an animated series which ran 13 episodes from 1991-92. And Finally the infamous action figure. Clearly this Jenny figure saw some sort of minuscule release. Likely just a small test run. One seems to show up every ten years for exorbitant amount of money.